Atazanavir is a novel and potent azapeptide protease inhibitor that specifically inhibits the human immunodeficiency virus type 1 (HIV-1) protease enzyme with inhibition constant Ki of 66 nmol/L and also inhibits the viral replication of HIV-1 with 50% effective concentration EC50 ranging from 2.6 to 5.3 nmol/L. Atazanavir binds to HIV-1 protease preventing the cleavage of gag and gag-pol polyproteins, which results in the formation of immature virions in HIV-1-infected cells. 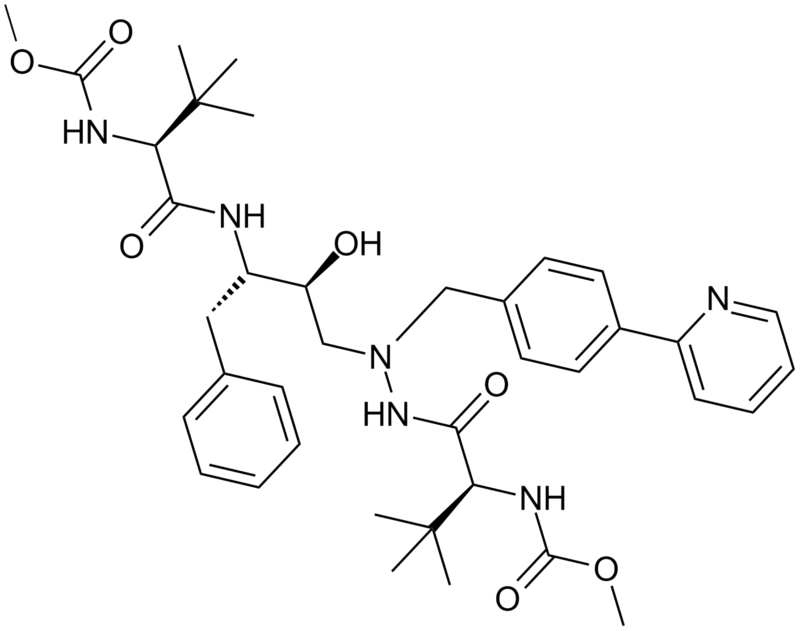 Atazanavir has a different C-2 symmetric chemical structure and a generally greater antiretroviral potency in various HIV strains compared to other protease inhibitors, including indinavir, nelfinavir, ritonavir, saquinavir and amprenavir.